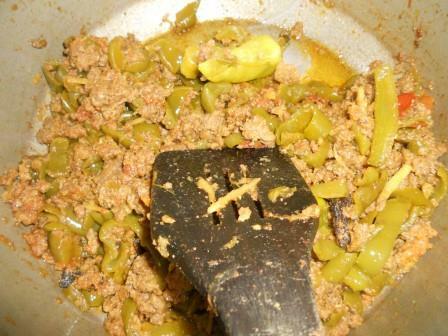 Many people love the aroma of Capsicum (aka Shimla mirch). There are many ways of using capsicums in food, such as raw in salads, stuffed with mince and baked, sprinkled on pizzas or roasted under a grill. It is widely use vegetable. 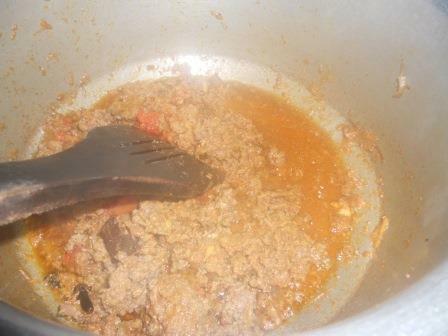 Although we can make many dishes with minced meat but this Ultimate Shimla Mirch Keema is a well known dish in Pakistan and many parts of South Asian home cooking. It is pretty easy to make and tastes really good. Follow step by step will get you perfect taste. 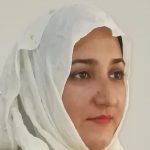 All the ingredients & method are provided for your assistance. Here capsicum compliments the combination of flavors within this minced gravy perfectly. This is one of the quickest and simplest dishes. While I love spending time in the kitchen, trying out new recipes, sometimes I just want something that’s fast, easy and obviously delicious. 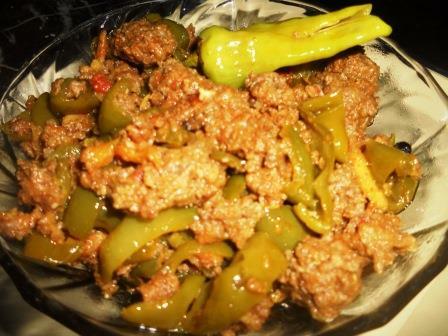 This Spicy Minced meat with Capsicum is a super easy recipe to make and requires only a few basic ingredients which are easily available. But this Spicy Minced Beef with Capsicum is so easy! 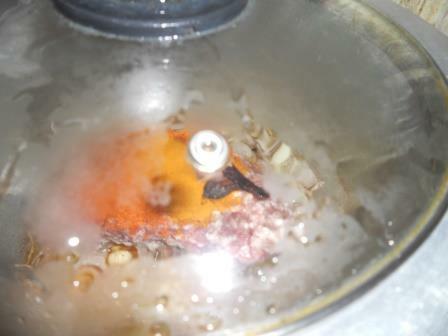 Heat the Oil in stew pot. Add sliced onion and fry to translucent. 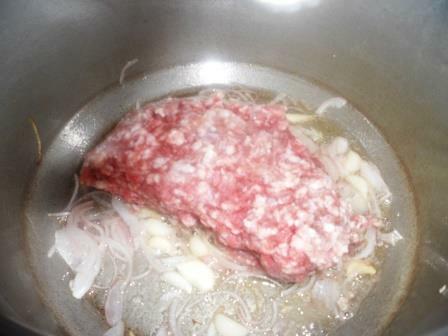 Add minced meat and fry a little. 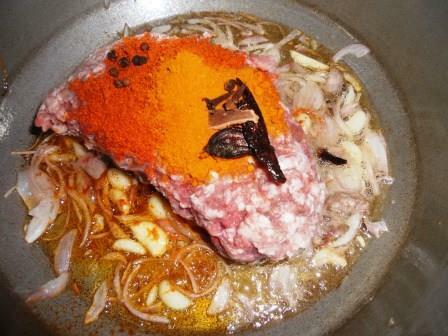 Add Salt, Red Chili Powder, Ginger Paste, Turmeric Powder, Clove, Pepper, Cinnamon, Black Cardamom, Garlic cloves. Cover the lid and allow to cook for 15 minutes on medium flame. Remove the lid and add tomatoes. Cook for another 5 minutes. 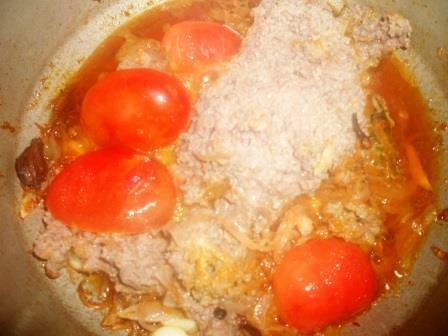 Remove the skin of tomatoes, mix well all the ingredients. 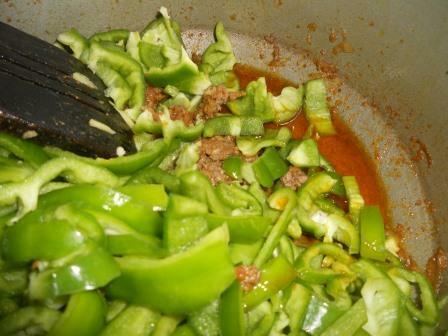 Add green chili, garam masala, and capsicum. Cook covered for another 10 minutes. Add yogurt, Now on high heat simmer the mincemeat and take it out in a dish when the oil comes up.